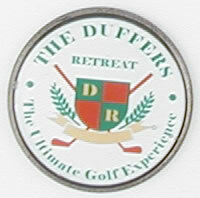 To create a die struck ballmarker - we create a steel die with your design. That die can be used to create many other items (including keychains, coaster sets, pins, etc) with no setup costs. 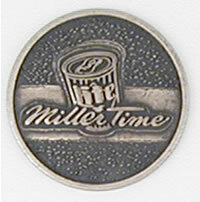 Representing your logo in metal typically conveys higher perceived value than printing it in color. 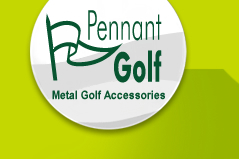 As you've seen while reviewing our golf divot repair tools, hat clips and towel caddy, you can choose how to you'd like your ball marker to be customized. We know that choices can be confusing so here are some guidelines to help you decide. Die Struck - your logo is represented in raised and recessed metal. Depending upon your design it may be done at two levels (raised and recessed) or multiple levels (a background level, intermediate levels, and a raised to the top level). When using a die struck ball marker -you want to have contrast between the raised metal and the background. This is most often accomplished by using an antique finish (such as antique brass). Die Struck and Color Filled - In this case - your logo is in raised metal with areas that are to hold color outlined by metal walls. Remember that colors are placed in as a liquid and therefore they must be separated by metal walls or the colors would run together. Notice how the inside circle of the design separates the black and red backgrounds. 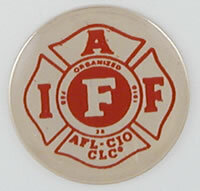 Photo or Printed Ball marker. Your logo is printed in full color on a white background. That imprint is then placed on the 1" round ball marker and is covered with an epoxy dome to seal it in place and protect it. 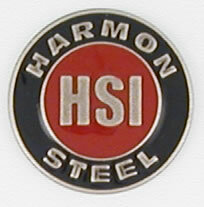 Silk Screened - Your logo is printed in one color over the background metal finish. When choosing this option be sure that your chosen imprint color contrasts nicely against the background metal color (gold, silver, antique brass).